As the world continuously gets introduced to new batches of K-pop groups, it’s easy to forget the pioneer generation of talents that first drew global attention a decade ago. From their unique concepts to their synchronised dance steps, these second-gen favourites never fail to remind us of how they helped to shape the K-pop genre to what it is today. Though some of them have since parted ways as a group, here are some iconic bands to remember that have made their memorable debuts back in 2009. 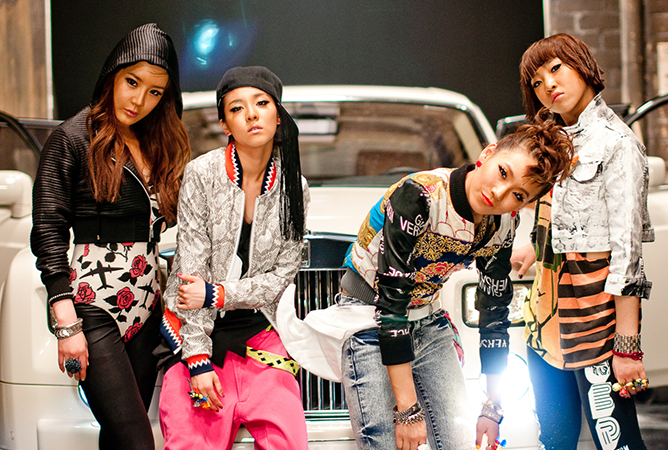 Before we had BLACKPINK, we had the fantastic four known as 2NE1. Characterised by their bold, bright outfits, the quirky foursome were recognised for their unique style which helped set them apart from their female counterparts during their reign. In the same year of their debut, the girls even clinched a Song of the Year win at the 2009 Mnet Asian Music Awards for their first number one single with ‘I Don’t Care’. Not bad for a then-rookie group, right? Despite riding a high since their formation with a string of chart-topping hits and shiny awards, the quartet sadly called it quits in 2016 shortly after Minzy’s exit. Though all four members have been working hard on their solo careers since their split, it seems that now is finally the time for the least active member, Park Bom, to shine as she makes her long-awaited comeback this year. Blackjacks, where y’all at? As one of the first two groups to debut under CUBE Entertainment, 4Minute was responsible for turning their debut single ‘Hot Issue’ into an inescapable earworm that you just couldn’t get out of your head. Dubbed by their largely female fanbase as having a ‘girl crush’ image, the five-piece had an edgy dance-pop style which was evident in the choreography of their consecutive tracks following their first single. Though the quintet’s discography were filled with hits and misses, they were still able to bag several major accolades including a Rookie Award at the prestigious Golden Disc Awards in 2009. Feeling the pressure from the competition of the cutthroat idol industry, the group unfortunately disbanded and left CUBE Entertainment, with the exception of HyunA who signed on as a solo artiste until her dating controversy which led to her parting ways with the agency and signing on with P-Nation, a new entertainment company founded by PSY. If you’re the kind of fan who appreciated the underdogs of K-pop, then you might remember After School. Greatly influenced by the stylings of the Pussycat Dolls and spawned addictive hits such as ‘Diva’, ‘Because of You’ and ‘Bang!’, After School is a contemporary performance-based girl group that was initially formed with just five members. Unlike other girl groups of 2009, the band had an undetermined number of members due to their admission and graduation concept where members could get added or withdrawn. As such, the group often saw changes to their overall number of members, especially in the same year of their official debut where they lost one member and added three new ones. But even with their inventive approach, it was difficult to maintain the group’s popularity as a whole. It’s probably part of the reason why After School has halted group promotions since 2015, in order to give the members an opportunity to explore their solo music, acting and modelling careers. They’ve also seemingly paused their admission exercise of members in late 2018, following the recent graduation of notable members Uee, Jungah and Lizzy. 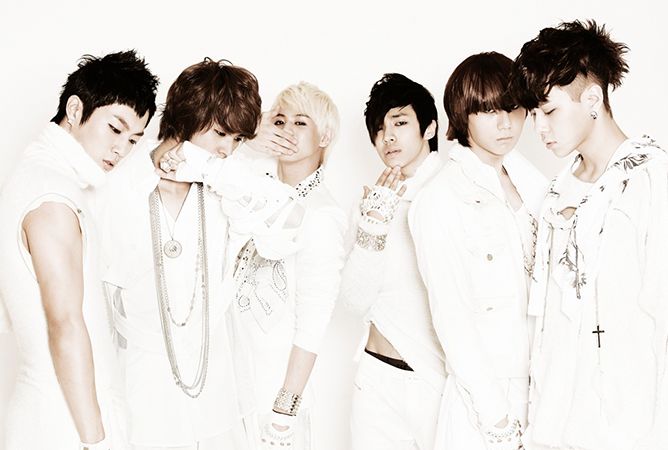 In addition to the hot boy groups of the second generation like 2PM and Super Junior, we were also gifted the shockingly talented boys of BEAST. Known as the other pioneering group of CUBE Entertainment, the members were considered unique as they originally trained in different agencies. Their rise to the top didn’t take long when they got recognised for their musical versatility and dynamic choreography. These qualities were probably what contributed to the group’s success thus far, where they have collectively achieved significant recognition which identifies them as one of the most awarded groups of all time at the all-important Korean music industry award ceremonies. While there was promise of a brighter future ahead for the sextet, fans were met with a surprise announcement when vocalist Hyunseung left in pursuit of a solo career in 2016. His sudden departure left the boys to make their comeback as a quintet, but it seemed more changes were already written in the books. In the same year, the other members officially launched their new label Around Us Entertainment, which saw them parting ways with CUBE and leaving their trademark BEAST moniker behind to rebrand as a new group named Highlight. Though they had planned to promote more as part of Highlight, the group has temporarily halted all promotions for the members to serve their mandatory military service before hopefully returning to the stage as a complete five. 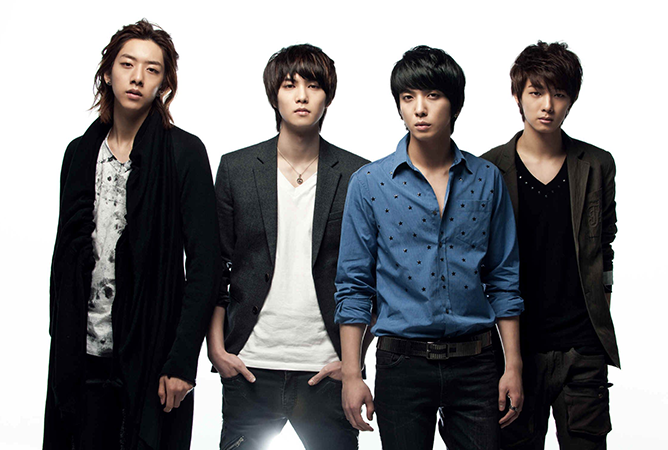 Did you know that CNBLUE started out in Japan before their transition into the K-pop world? The quartet was initially formed in 2009, where they held their very first live performance at the entrance of Shinjuku Station in Tokyo, Japan with just their instruments and pure, unadulterated vocals. Their ability to flawlessly synthesise genres together with their unique band concept, was what set them apart and granted them a coveted spot in the Korean music scene. When they made their formal Korean debut in 2010 as FTISLAND’s junior group, their insanely catchy ‘I’m a Loner’ became an instant chart-topper which gave them their first music show win barely two weeks after their debut televised performance. Despite their continuous success, the band has gone on a hiatus to accommodate the military enlistment of each member after their 8th anniversary fan meeting early last year. Although it may seem like a long time before the band gets back together, the closeness of the members’ date of entry has led fans to believe that there’s a high possibility of CNBLUE making a comeback in 2020. So if you’re new to the band, it isn’t too late to catch up before they make their return to the stage! Aside from being one of the earlier girl groups to have an international member and an androgynous member, as well as the younger sister of former Girls’ Generation member Jessica, f(x) was also one of the first K-pop groups to get recognised internationally following their stint at the illustrious SXSW. Known for their experimental style and electropop-based sound, the girls made their official debut in late 2009 with their first digital single ‘La Cha Ta’, before gaining a larger fanbase through their own reality programmes and collaborative works with labelmates Girls’ Generation. 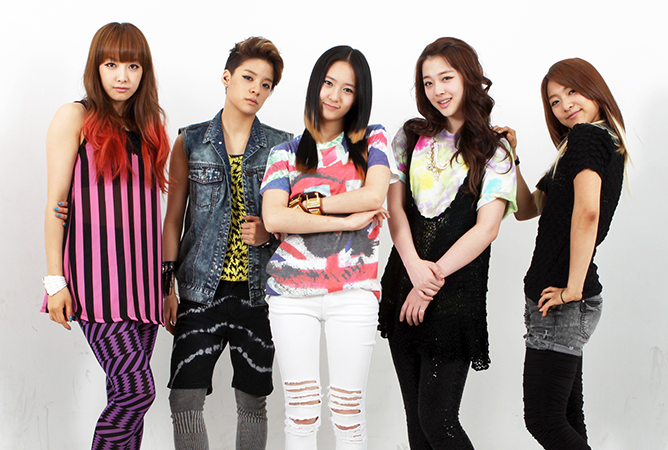 In 2015, f(x) became a four-member group when member Sulli announced her official departure to focus on acting. Despite the loss, the rest continued with the release of their fourth studio album, which they actively promoted until late 2016. Since then, they haven’t been active as a whole which leaves the current status of the group undetermined as the members are off pursuing their individual careers. It’s time to give f(x) a comeback, SM! Dubbed unofficially as Rain’s protégés, the suave boy band was put together by the legendary performer himself as the first artistes under the now-defunct J.Tune Camp. Having trained for two years, MBLAQ’s discography has seen them experimenting with different genres while maintaining familiar Rain stylistics within their strong choreography. The group made their major debut at Rain’s Legend of Rainism concert in 2009, which helped them to garner their first legion of domestic fans. But despite being destined for greatness, they never had a number one single on the Korean charts. 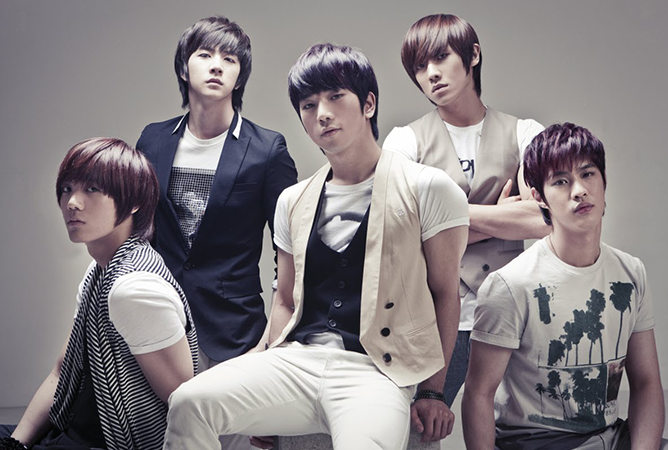 Perhaps that was what led to the eventual big setback for the group after two of its members, Lee Joon and Thunder, departed from MBLAQ six years after their debut. Although there has been no official word on the current status of MBLAQ, the remaining members have been left with no proper management to oversee their activities which is probably evident enough that this once promising group will probably not be making a comeback anytime soon. When you hear the name Secret, you might just remember their girl-next-door hit ‘Shy Boy’ which came out in 2011. Formed in 2009, the girls were originally set to be an R&B and hip-hop centric group, only to be swayed towards the retro sounds reminiscent of OG K-pop queens Wonder Girls during their debut. By picking a niche sound that was refreshing in its own way, Secret was able to quickly grow their fanbase while maintaining their unique brand within the industry. Despite the widespread popularity they’ve gained, the momentum for Secret started to slow down when Sunhwa left the group in 2016. Although the rest of them continued as a trio, the band was officially dissolved early in 2018 after it was revealed that the remaining members were locked in a legal dispute with their management company. Even with this harrowing experience, the girls seem unlikely to let that get them down as each of them are currently working hard on establishing their solo careers in music and acting. If you’ve dabbled in the world of K-pop in 2009, you might be well-accustomed with the all-female group that created the oh-so catchy viral banger ‘Bo Peep Bo Peep’. For the unfamiliar, T-ara was originally a six-member girl group widely known for their hook-heavy dance pop tracks, paired with unbelievably cute concepts that often change up with the tracks they were promoting. However, T-ara’s road to fame was not without its difficulties. In 2012, the group found themselves in the centre of a bullying controversy after member Hwayoung accused the others of mistreating her. The temporary suspension of the group’s activities during this period resulted in a heavy blow for T-ara’s gained popularity thus far. Besides their 2013 comeback, the girls had spent the better part of their time actively touring and promoting before returning to Korea in 2017 to produce their final album after a conclusion to the scandal. As of 2018, the remaining members have already left the company in pursuit of better and more promising opportunities. Which second-gen K-pop group do you miss the most? Let us know in the comments below! 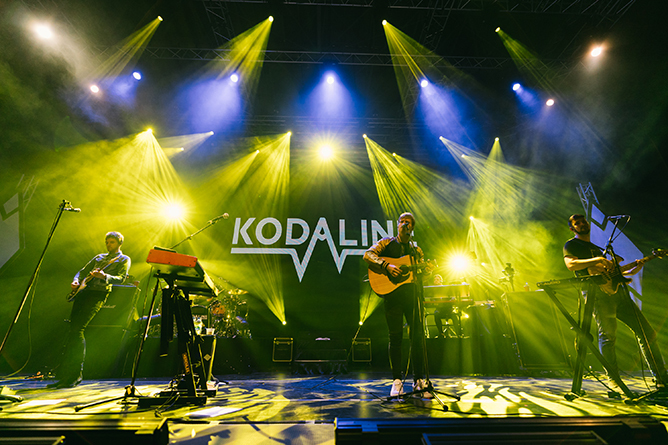 There was nothing fancy at Kodaline’s second Singapore concert, held at [email protected] last night four years after their last gig here. There was no flashy costume changes, complicated dance choreographies, or elaborate stage theatrics. What they had was their voices: gusty, soothing, beguiling – which made their slightly over 90 minutes set flew by in an instant. Throughout the night, we were treated to hits from their latest album Politics of Living, with crowd-favourites from their earlier records Coming Up for Air and In a Perfect World thrown into the mix. The quartet started things off with the catchy opener ‘Follow Your Fire’, before going on to deliver their equally infectious bangers such as ‘Brand New Day’, ‘Ready’ and ‘Honest’. Quite literally, the highlight of the night was undoubtedly their performance of ‘The One’. The heartfelt, stripped-back rendition aside, the crowd was also encouraged to whip out their phone lights to create a scene as beautiful as the song itself. But perhaps the greatest evidence of the band’s buttery vocals was in ‘I Wouldn’t Be’. It had no backing tracks or instruments – just four pure, unadulterated voices that melded together with ease. Towards the end, the four-piece had every single one in the audience singing along to tracks like ‘Love Like This’, ‘One Day’, and ‘Love Will Set You Free’. 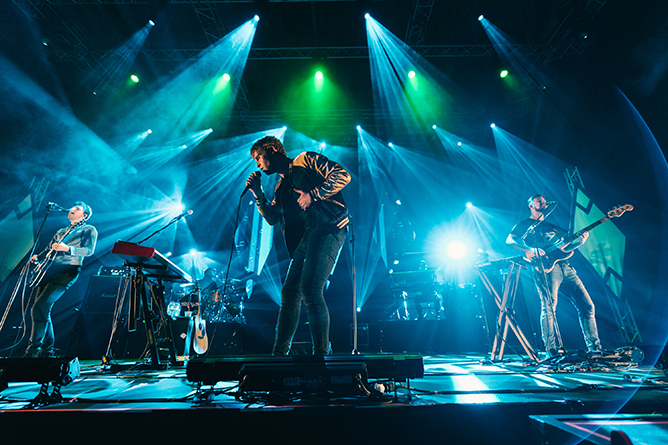 In saving the best for last, Kodaline returned onstage during an encore to deliver ‘All I Want’ and “High Hopes’. Before bidding goodbye, lead singer Steve Garrigan hoped that the band wouldn’t have to wait another four years before coming to Singapore again. “Maybe next year,” he mused. We’re definitely going to look forward to that. F1 Singapore Grand Prix 2019 Returns With Cardi B, Red Hot Chili Peppers, Muse And More! The time has come yet again: Singapore GP has just announced the full entertainment lineup for the 12th edition, which features big names such as Red Hot Chili Peppers, Muse and – drum roll, please – the one and only Cardi B on the headlining bill for this year’s Formula 1 night race. Taking place at the Marina Bay Street Circuit from 20 to 22 September, festival-goers can expect a diverse host of genres across nine stages at the three-day extravaganza. Other headlining acts to watch out for include electronic supergroup Swedish House Mafia, Jamaican musical collective Toots and the Maytals as well as renowned big beat DJ Fatboy Slim. General tickets start from $98 for a single-day ticket and $268 for a three-day ticket. But here’s a great deal for local F1 attendees: a limited amount of Friday Zone 4 walkabout tickets is available for Singaporeans and Singapore residents at an exclusive promotional price of $48, which can only be purchased over-the-counter at SISTIC outlets.